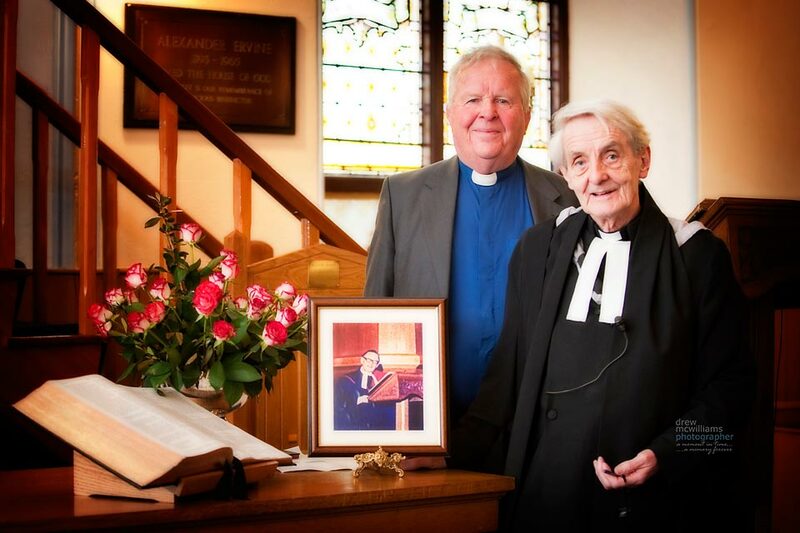 Rev Sam Peden welcomed Rev William McMillan MBE back to the church he was 'brought up in' to celebrated the life and service of former minister, Rev Alexander E Peaston. Mr Peaston, educated at Oxford and Harvard, was a well known character around the town for over thirty years. He was known as an erudite scholar and common sense minister, and was greatly loved by his congregation. Christian unity is to be sought, not in the uniformity of creed but in a common standard of duty and adherence to the commandments set out in the Holy Bible. ﻿- that the minister and elders of this church are not required to sign the Westminster Confession of Faith unlike those in the Presbyterian Church in Ireland. - that the minister and elders of this church accept the Bible alone as the rule of the Christian faith and duty under the teaching of the Lord Jesus Christ. - that the minister and members of this church have the duty and freedom to discover for themselves what God is teaching His people through the words of Scripture. - that the church is not a closed community but is open to the wisdom and insight of other churches and welcomes the fellowship of other Christian people. The term "Non-Subscribing" was applied in 1721 to those congregations and their ministers who resented compulsory subscription to the Westminster Confession of Faith as a test of soundness of faith. Their resentment was based on their profound feeling that man-made creeds and confessions limit and restrict the sacred right of private judgement. The Constitution of the Non-Subscribing Presbyterian Church of Ireland, of which our Congregation is a constituent part, has been described as 'a noble document, an ideal basis for the united Christian Church of the future'. So we are not members of an opposition Church but rather we belong to a friendly church which regards all people with respect. Ministers of other churches are, by our constitution, welcome to join in Communion and to occupy our pulpits. Agreement among Christians of every detail of doctrine is not necessary to the acceptable practice of the faith, and true unity is to be sought, not in the uniformity of creed, but in a common standard of righteousness and obedience to the commandments which Christ has laid down. We believe that it is the inalienable right of every Christian to search the Scriptures and, with prayerful consideration, to seek the will of God through lives of discipleship. The Principles of free enquiry and love of liberty have bound the leaders together over the years to minister to the spiritual wants of many and aid the spread of true religion and just freedom among succeeding generations of worshippers. We meet for the worship of God and the service of man, recognizing a Divine purpose in nature and human life, regarding Jesus Christ as the sole King and Head of the Church. We hold that scripture is the only rule of faith and Duty under the teaching of Christ. We accept the guidance of our reason and conscience and we believe that human creeds and confessions restrict the sacred rights of private judgement which is a fundamental principle of the Reformation. Everyone is invited to attend our services of worship and explore our unique approach to faith.